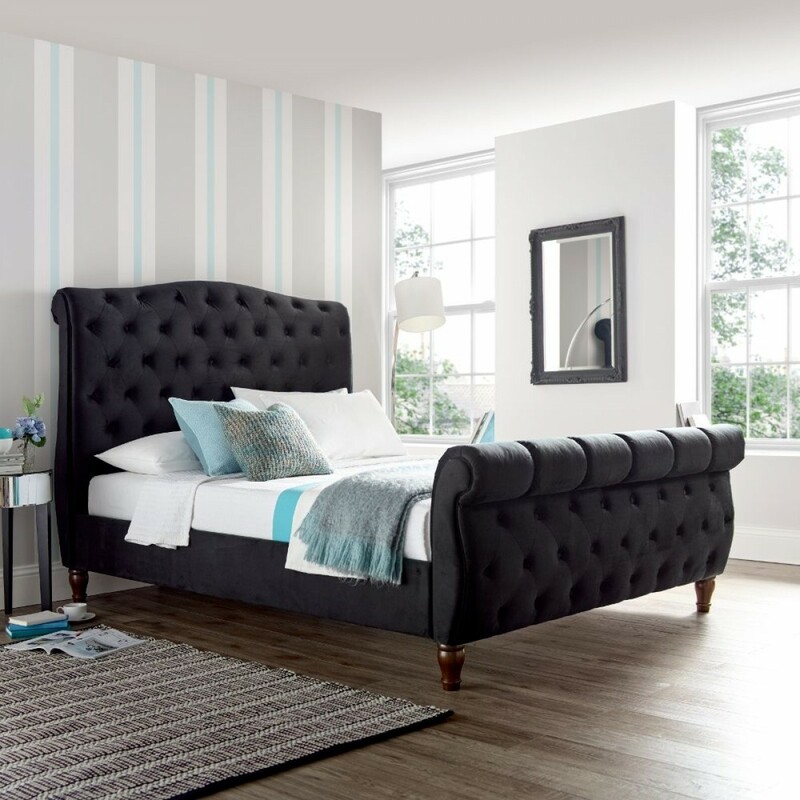 An enchanting centrepiece to any master bedroom, the Colorado Black Velvet Fabric Sleigh Bed is not only an incredibly accommodating bed but one that adheres to a superior sense of style. 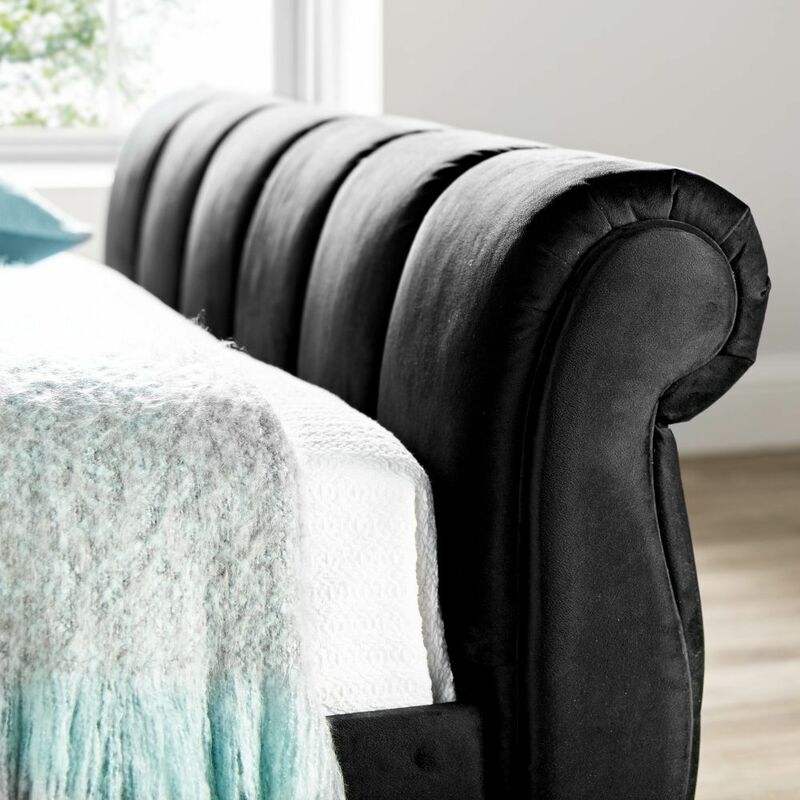 Upholstered in a luxurious fabric, the Colorado Black Velvet Fabric Sleigh Bed blends in seamlessly with contemporary homes almost as well as regally decorated, traditional bedrooms. Refusing to be simply sublime, the Colorado Black Velvet Fabric Sleigh Bed is crafted with a level of detail that showcases how opulent its design truly is. 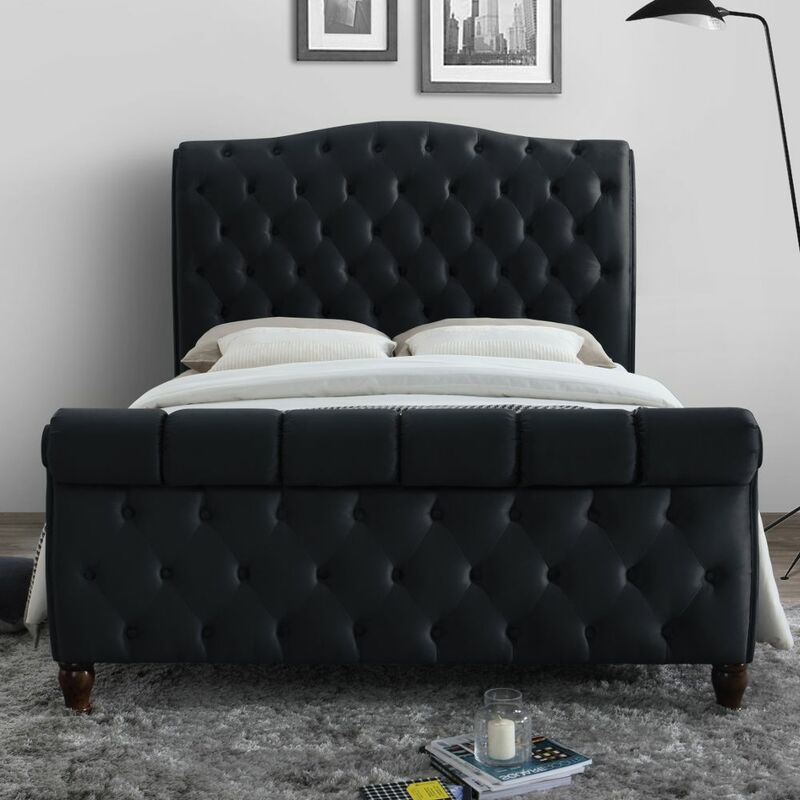 Consistently clad in a buttoned, tufted pattern, the sleigh style of the Colorado Black Velvet Fabric Sleigh Bed's footend and the generously sized and padded headboard combine to create an illustrious and undeniable sense of panache to the bedroom. Additional touches include the delightfully dark wooden legs, serving as a superb foundation for the entire frame. The most obvious aspect of the Colorado Black Velvet Fabric Sleigh Bed is its undeniably beautiful sense of aesthetics. Though the Colorado Black Velvet Fabric Sleigh Bed is able to seamlessly blend into a host of different decors its regal design truly lends itself to homes and bedrooms that already sport a sublime, contemporary style. The scrolled design easily conjures thoughts of five story hotels, while the classic black velvet upholstery makes the Colorado Grey Velvet Fabric Sleigh Bed simply exquisite. Built with a focus on high quality materials, the Colorado Black Velvet Fabric Sleigh Bed has been designed to be incredibly durable. Featuring a sprung slatted base, the Colorado Black Velvet Fabric Sleigh Bed is able to comfortably host essentially any kind of mattress. 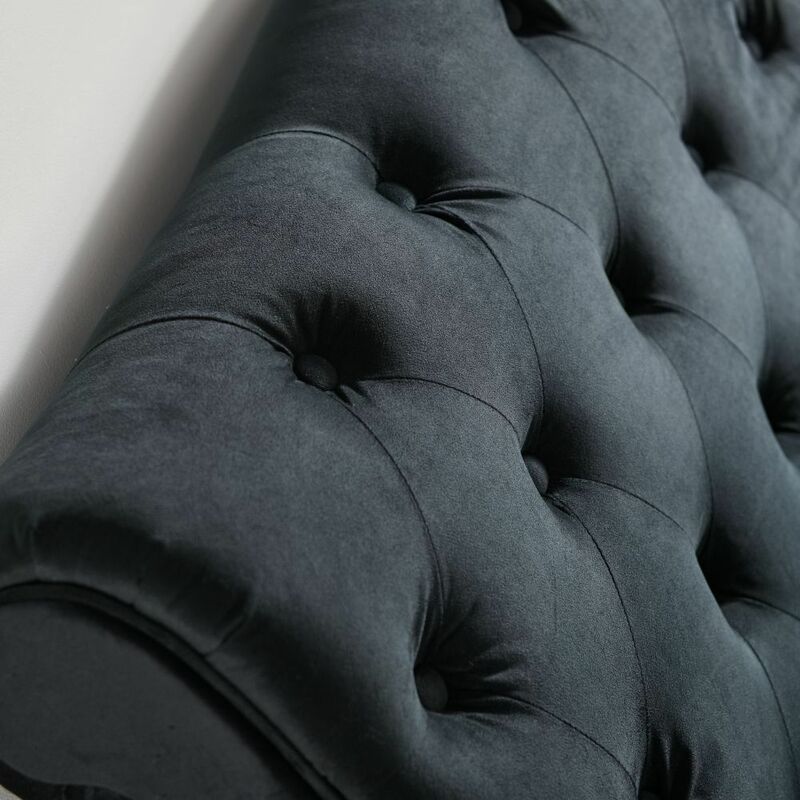 Though it arrives flat packed, the Colorado Black Velvet Fabric Sleigh Bed is easy to construct thanks to the comprehensive instructions included.